It doesn’t matter where you find yourself on the Outer Banks, you are bound to find delicious and authentic cuisine nearby. These barrier islands are known for having some of the best restaurants on the East Coast, serving up some mouthwatering fare that is second to none. Along with being experts on preparing the freshest local seafood, Outer Banks chefs also specialize in a variety of dishes that are sure to please any palette. 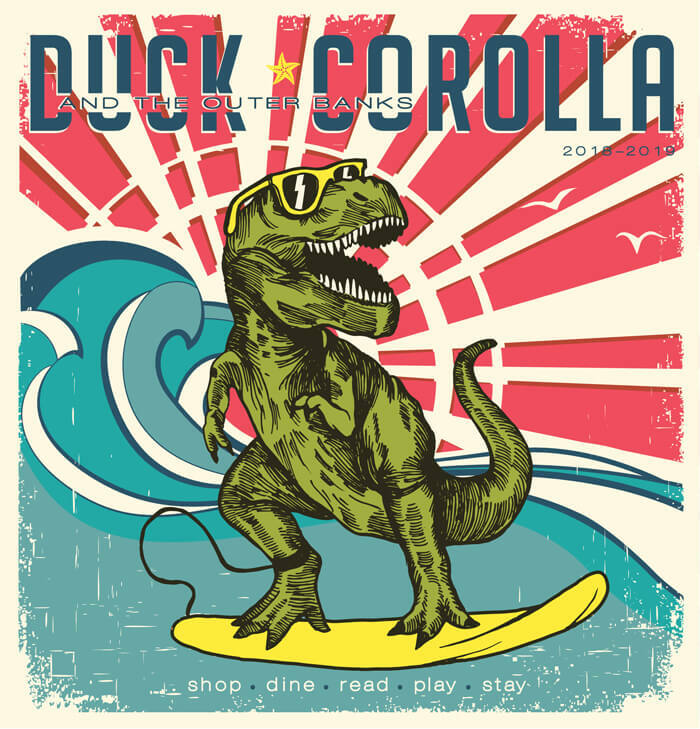 From authentic Italian eateries and scrumptious burgers to elegant cuisine, each restaurant brings its own unique style and flavor to the Outer Banks foodie scene. It’s no surprise that locals and visitors alike discover that these barrier islands are the perfect place to set off on the trail to good food, no matter what direction you head. Here’s the perfect guide to get you that delicious Outer Banks bite to eat you’ve been craving. If you want one of the best burgers on the Northern Banks, stop by Bubbie’s Burgers in Corolla. Top rated by Trip Advisor for its sandwiches and burgers for the past three years. Bubbie’s is also known for its hot dogs as well as scrumptious veggie, chicken, fish, and crab cake sandwiches. Their mouthwatering French fries are sure to become a favorite, and guests love ordering up Bubbie’s ice cream, milkshakes, soda, or a frosty mug of beer. A free scoop of ice cream is also offered with the kids and senior menus. You’ve tried the rest. Now try the best! 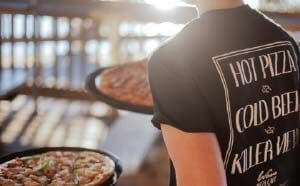 For authentic pizza and subs that taste like you are back home, try Lucky’s Pizza and Sub House, the newest pizza spot in Corolla. 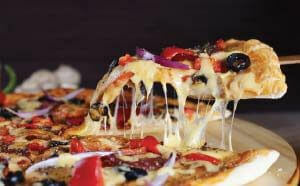 You will find a casual, family-friendly atmosphere as you enjoy delicious pizza and subs. Eat in, take out, or have them bring it to you. Free delivery from the Hampton Inn to the end of the road on the north end of Corolla. Online ordering available. Make this your Lucky day. In the quaint village of Duck, you can treat yourself to an elegant dining experience at Kimball’s Kitchen at the Sanderling Resort. 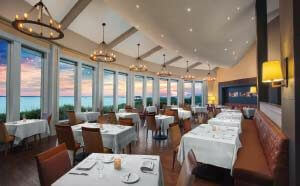 Kimball’s Kitchen offers breathtaking views of the Currituck Sound along with a world-class menu. Here, guests are treated to freshly caught local seafood, handmade pasta, certified Angus beef and a wide selection of local oysters. Kimball’s Kitchen also has an award-winning wine selection to choose from along with handcrafted cocktails. 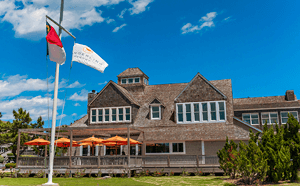 If you have a hankering for some delicious chowder and want a more causal atmosphere, head next door to the Lifesaving Station, also at the Sanderling Resort. Here, guests will be treated to a casual and family-friendly setting for breakfast, lunch, and dinner. Located in the Caffey’s Inlet Lifesaving Station No. 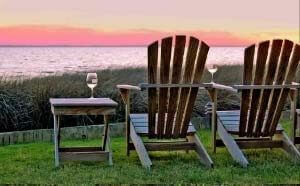 5, the renovated second level offers sweeping views of the Currituck Sound and welcomes large parties. The No. 5 bar has been moved to the first level as part of the restaurant and outside patio. The Signature crab and corn chowder remains a house specialty since 1985. Heading south, you’ll find The Blue Point. Entering its 29th year, The Blue Point still sets the bar for great food and hospitality. Sensational water and sunset views for lunch, dinner, or Sunday brunch. Open-air, waterside bar open at 5 p.m. for drinks before dinner, after dinner, or instead of dinner. 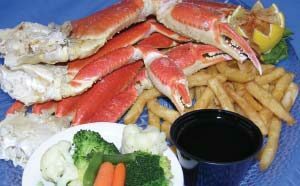 Be sure to check out Sunset Grille and Raw Bar in Duck, where you can take in the Caribbean flair and family friendly atmosphere while sampling its wide selection of fresh local seafood, steaks, pasta, and cocktails. Savor the islands as you indulge in a delicious Island-Style Pork Sandwich, Fresh Basil Chicken Sandwich (blackened chicken breast with fresh mozzarella and basil on toasted ciabatta with garlic aioli), Dolphin Jalamango, and Salmon with Sundried Pesto and Crab. You’ll love lounging outside with a signature cocktail or cold beverage at Sunset Grille’s three tiki bars, a sushi bar, raw bar, or outdoor waterfront dining. 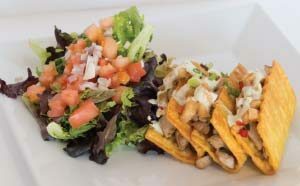 If it’s an eclectic menu you seek – coupled with a fun, creative beach-inspired atmosphere – you’ll be right at home at Fishbones Raw Bar and Restaurant in Duck. Enjoy a savory burger from the full burger bar stocked with delicious choices like the Gouda Pork Belly burger. 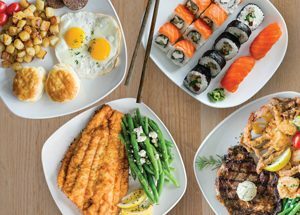 Guests will love the variety at Fishbones, which offers both small and large plates that feature everything from Filet Mignon to Tuna Avocado Seafood Enchiladas and fry baskets. 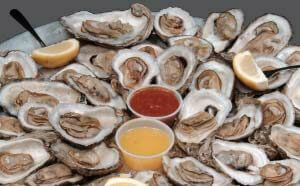 Don’t forget the popular raw bar for local oysters, steamed shrimp and more. The little tykes will love choosing their favorites from the kid’s menu as well. As a family-run business, you’ll find that Wave Pizza Café takes pride in every pizza we make. Our specialty is hand-tossed, made-to-order pizzas, topped with homemade sauce and 100% whole milk mozzarella. Choose from a large selection of fresh ingredients to top your pizza. Your order is cooked to perfection in our stone oven. Complement your pizza with a cold craft beer or a bottle of wine while you enjoy the spectacular view from our waterfront deck. Don’t forget your camera! Sunsets are free! At Tommy’s Natural Foods Market and Wine Shop, discover more than 400 local and North Carolina products along with the largest selection of wine in Duck. Order delicious dinners to go such as BBQ, seafood and meat lasagna, shrimp and prime rib, as well as vegan and gluten-free options. 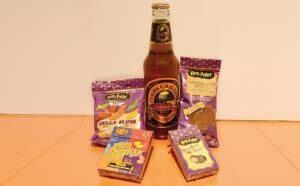 Free sip and samples along with wine, cheese and chocolate tastings are all part of Tommy’s small town grocery experience. Visit Tommy’s deli and bakery for premium meats and cheeses, salads made from scratch as well as a selection of homemade fruit pies, pastries and cakes. No matter where you happen to be on the Outer Banks, if you are in the mood for oysters, Awful Arthur’s Oyster Bar in Kill Devil Hills is worth the drive. Named as one of the top 10 oyster bars in the country by Coastal Living magazine, and recognized by Esquire magazine for its tasty steamed shrimp, it’s also famous for it’s popular surf & turf, soft shell crabs in season, crab cakes and steamed combos. Awful Arthur’s isn’t just about seafood, though. Awful Arthur’s features the Outer Banks’ only authentic oyster bar. 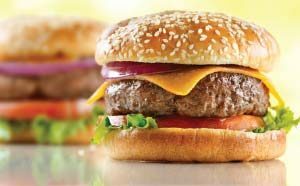 Menu favorites also include scrumptious burgers, homemade pastas, and delicious sandwiches. 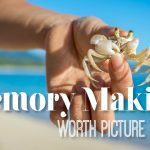 Also in Kill Devil Hills at Mako’s Beach Grille & Bar, you’ll enjoy the casual, family-friendly atmosphere and one of the most eclectic menus on the beach. 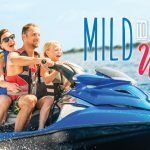 Mako’s is sure to include something for everyone to enjoy. From the mouthwatering pizza made in Mako’s wood-fired oven to fresh local seafood, prime rib roasted with garlic and rosemary and a delicious plate of locally caught peel n’ eat steamed shrimp, you’ll find your favorite dish here. Mako’s has a full kids menu for the little ones and tropical themed cocktails for the grown ups. It is sure to become a family tradition if it isn’t already. 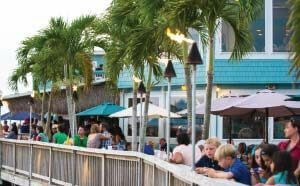 Captain George’s Seafood Restaurant in Kill Devil Hills is the place to be. All of its food is prepared fresh on the premises as well as homemade salads, desserts and the dressings to its secret seafood casserole recipes. 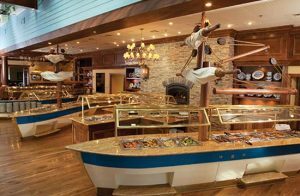 Guests can enjoy upscale dining as well as professional service while enjoying the restaurant’s all-you-can-eat seafood buffet that features more than 70 items such as steamed shrimp, Oysters Rockefeller, and of course their world-famous crab legs. 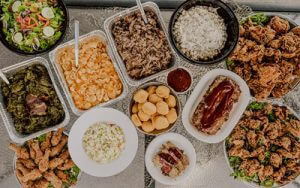 Let Kelly’s OBX Catering do the cooking while you are on vacation and enjoy their delicious fare delivered right to your home! Kelly’s caters to you, and will happily customize their menu items to perfectly suit you and your party. From BBQ and lasagna to prime rib, coastal cuisine, side dishes and more, you know you are getting the Outer Banks’ finest with every meal. 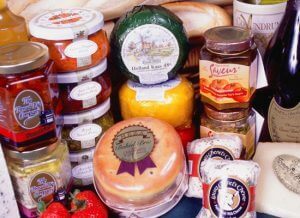 Kelly’s will deliver to your door a delicious meal that is ready to serve or prepared for later cooking. 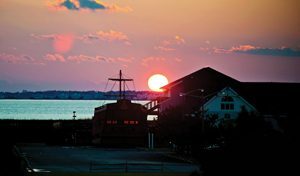 Natural beauty, local lore and delicious authentic cuisine all come together at Pamlico Jack’s Restaurant & Bar in Nags Head. Enjoy your meal from the outdoor bar overlooking the Roanoke Sound that is an authentically replicated pirate ship, complete with sails and rigging. An open-air soundfront deck offers spectacular views of the sun as it disappears into the waters of the Roanoke. Indulge in Gulf Stream seafood, steaks, homemade pasta, or a lighter fare and glass of wine, micro-brew, or custom cocktail. During the season, guests can also enjoy live entertainment nightly.